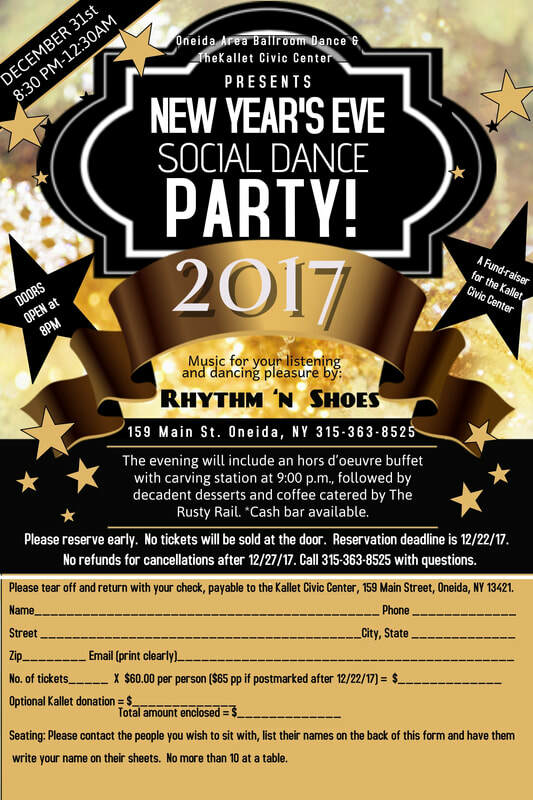 Oneida Area Ballroom Dance and the Kallet Civic Center present the New Year's Eve Social Dance Party. Music will be provided by Rhythm 'N Shoes. Hors d'oeuvre buffet, carving station, and dessert will be provided by The Rusty Rail and a cash bar will be available. The party starts at 8:30pm, no tickets will be sold at the door so reserve early!